Leeks and garlic are sautéed until tender before adding the rice. Spinach and chicken broth are added to give flavor and color to the dish. 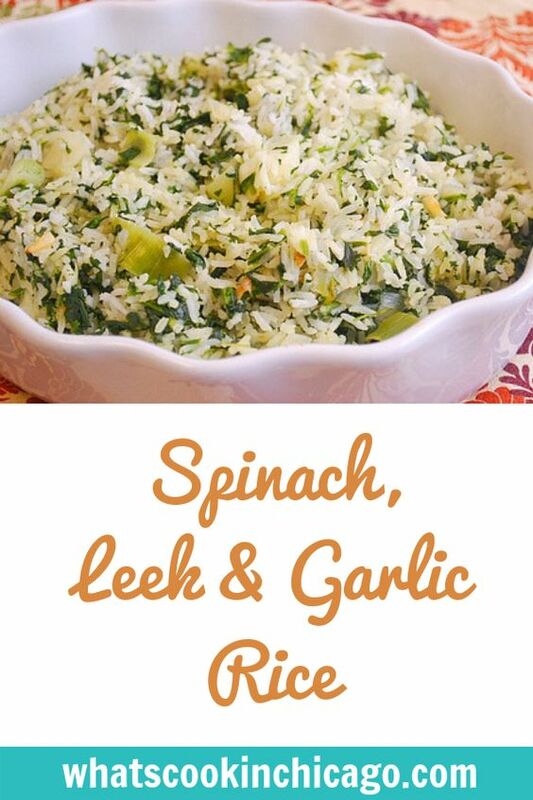 I love how the spinach adds a nice color to the rice and having the rice cook in chicken broth imparts some flavor. If you'd like an all vegetarian dish, you can easily substitute vegetable broth in place of chicken broth. This is one rice dish I plan on making more often for other meals. 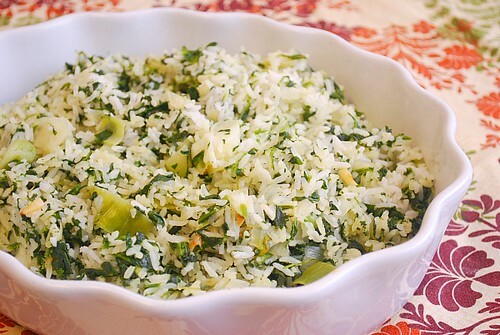 Aside from ham, this rice will go well with beef, pork, chicken and even seafood. Heat oil in heavy large wide pot over medium heat. Add leeks, cumin and garlic and sauté until tender. Stir in rice and coat with oil from the pot. Allow the rice to toast up slightly, about 3 minutes. Add spinach and broth and bring to boil. Reduce heat to low; cover and simmer until rice is tender and most liquid is absorbed, about 15 minutes. Season to taste with salt and pepper.